Paranoid Android custom ROMs is not for tin-foil hat wearing users. At least not exclusively. They bill themselves as a custom ROM focused on open devices. Their aim is to extend Android, under the same guise as Google with is Android Open Source Project. Further Paranoid Android is proud of the fact that you will find a minimalistic user focused approach to Android instead of a bunch of options. 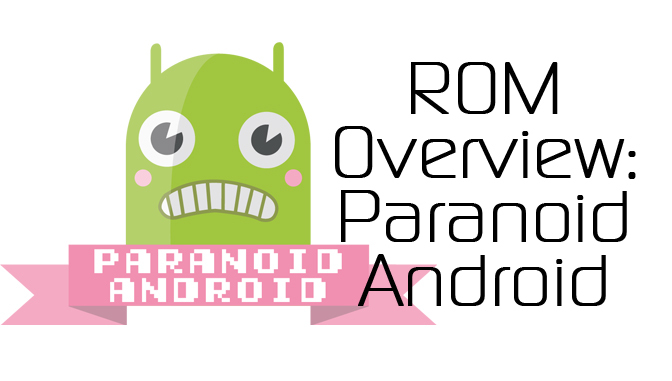 In today’s video, XDA TV Producer droidmodd3rx, shows off Paranoid Android on his Samsung Galaxy S4. The main features covered and talked about in today’s video are “Rainbow Smoothness”, DSB (Dynamic System Bars) and various bug fixes to improve performance. While we are showing the version on the Samsung Galaxy S4, the features will be similar on any Paranoid Android supported device. Grab your favorite beverage and check out this video. Check out droidmodd3rx’s YouTube Channel.